Neha Sharma started her acting career in the south and gradually ventured into B Town films starring opposite actors like Emraan Hashmi, Vivek Oberoi, Sunny Deol and many more. She made a mark with her no makeup looks at several major events. Fashion Police failed to catch her as her brilliant smile would simply impress everyone around. Her golden brown eyes and naturally dark coral lips just enhance her flawless beauty. Here are the top 10 pictures of Neha Sharma without makeup. Though actresses check the mirror 10 times before they step out of their ‘castles’, the new bee Neha Sharma chose to go all de-glam for her movie promotion at this radio station. Interesting to spot her in a plain black tee and blue denims, she exuded confidence with her natural good looks. Starting her career off from South, Neha Sharma dies justice to her simple look. Sporting purple top and white shorts, she accessorized it well with the purple scarf. The messy hair gives her the girl next door appeal and makes her look quite young and carefree. Caught in the action while rehearsing for a south film award night, Neha Sharma let go of her diva side and was one among the background dancers. A hard-worker by nature, she keeps rehearsing till she attains perfection. 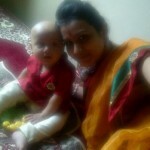 Comfortable in a tangerine colored round neck top teamed with denim shorts, Neha sported one of the best monsoon trends. Red carpet is the most celebrated occasion for any celebrity, while Neha Sharma quit the glamorous look and decided to play a plain Jane. Donning a red short dress with black colour clutch to match, Neha quietly marks a statement. However a slight make up would add the oomph factor to her cute personality; but she still looks quite a diva. Neha Sharma loves posing for the camera. During the shoot of ‘Kya Super Kool Hain Hum’, Ms. Sharma sported a tangerine colour bikini top with no traces of blush. The beautiful actress still had the apple blush look on her face and looked flawless compared to the other actress. Post attaining fame with her movies in Bollywood, Neha Sharma chose a no makeup portfolio shoot and did a marvelous job with her charming smile. Her bright smile and cute face gave the photographer some of her best shots. Seen in a white and green tank top, Neha Sharma can give any girl a chase for their boyfriends. 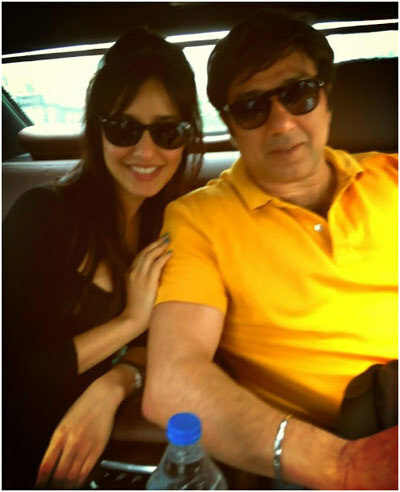 Clicked during the promotional tour, Neha Sharma was seen beside Sunny Deol, who is her real life mentor. She wore her lucky color black all during the event and was just like any other girl having her share of fun. She totally is meant to make it in the industry as she is the only actress who cares less about her makeup but more on her acting skills. Spotted enjoying at a pool party with Sarah Jane Dias and Riteish Deshmukh, the young budding actress Neha Sharma looked quite stunning. She wore a tube jumpsuit in black and was seen dancing away to glory as water splashed all around. Fun is her mantra to success and she knows the path to it. While starting off her career, Neha Sharma got her portfolio clicked by the beach. Being a water baby, her bond with water has been a close one. Seen in a black tank top and blue denim shorts, Ms. Sharma is killing it with her sensual looks. A hit in the south, her movie with Ram Charan was the next film where she sported the same look and created history. Tears are a women’s best weapon and Neha Sharma did a really good work while filming a sad scene. She chose no make up for this scene as she wished not to have smudgy eyes and hence gave a natural feel to the scene. This gorgeous actress cares less about her looks but believes in characterization. For sure the Neha Sharma no makeup style is a hit with us! What about you? Don’t forget to leave us a comment. Taylor Swift Without Makeup - You Can't Imagine? 12 Models who turned Bollywood actresses!! !